November 28, 2016, 12:02 PM · In an effort to promote the coverage of live violin performance, Violinist.com each week presents links to reviews of notable concerts and recitals around the world. 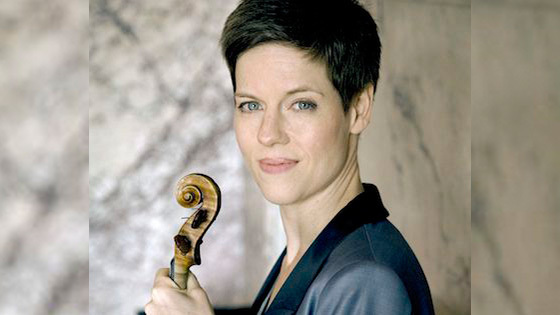 Itzhak Perlman performed works by Beethoven, Franck and Stravinsky in recital with pianist Rohan De Silva and Isabelle Faust performed Beethoven's violin sonatas with pianist Alexander Melnikov. Nashville Scene: "As usual, (Perlman) played everything with polish and panache." and "Faust’s playing seemed very German, and thus very intellectual. A serious, stylish artist, she made minimal use of vibrato to create a very pure, luminous sound." Augustin Hadelich performed Mozart's Violin Concerto No. 5 with the Los Angeles Philharmonic. Violinist.com: "...his solo emerged as a joyous outpouring of sound..."
Los Angeles Times: "From his delicately calibrated entrance to the Hungarian-sounding Rondo finale...Hadelich's lean, burnished tone was supremely graceful and communicative." Midori performed the Beethoven for the Rochester Symphony. Post Bulletin: "In short, this was a tremendous concert, one where the audience rewarded Midori with numerous curtain calls at the end." Nikolaj Znaider performed the Beethoven with the New York Philharmonic. New York Classical Review: "Beethoven’s Violin Concerto received a wonderfully focused and communicative performance from violinist Nikolaj Znaider, conductor Iván Fischer and the Philharmonic players." Gina DiBello performed Bach's Violin Concerto No. 2 with Music of the Baroque. Chicago Classical Review: "DiBello delivered distinctive Bach playing that was a model of taste, pure tone and refined expression. In the opening Allegro her playing was vigorous, technically immaculate and individual, exploring a rare degree of dynamic nuance." November 28, 2016 at 07:59 PM · Is there any reason Midori played her concerto "for" the orchestra but everyone else played their concerto "with" the orchestra?